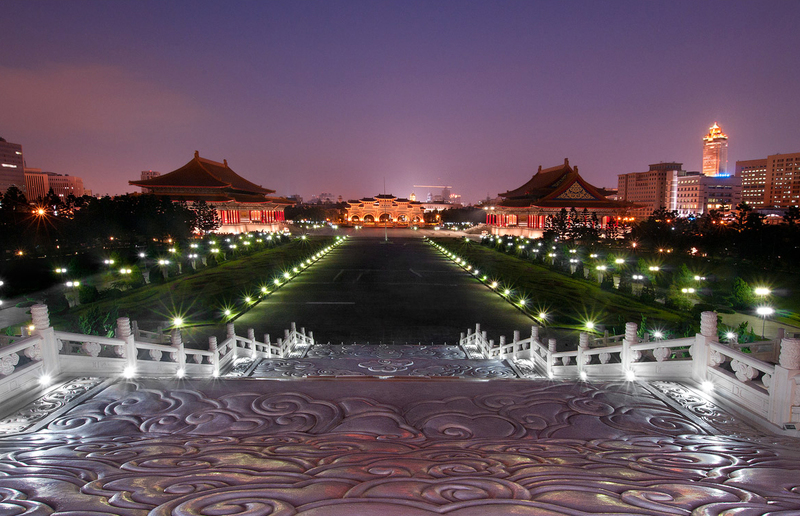 Built in 1987, the National Chiang Kai-Shek Cultural Center at Chiang Kai-Shek Memorial Hall is the first national-level cultural venues in Taiwan. 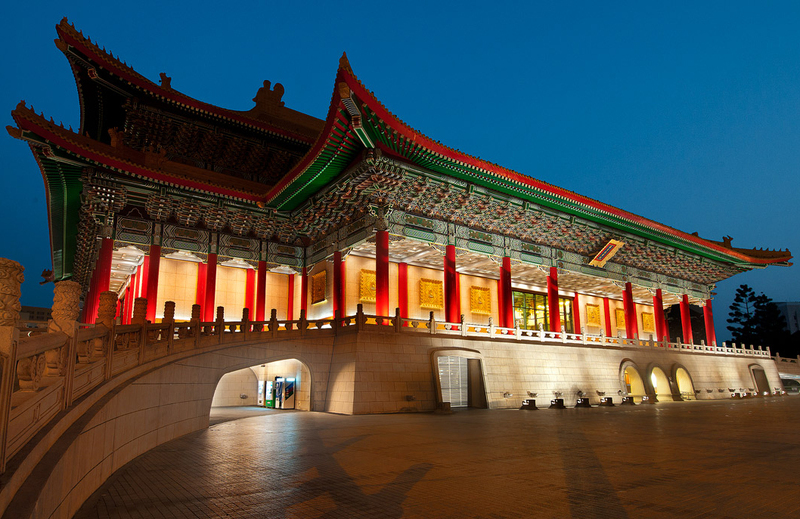 In addition to hosting major performances, the two major buildings of the center--the National Theater & Concert Hall--are major Taipei landmarks. 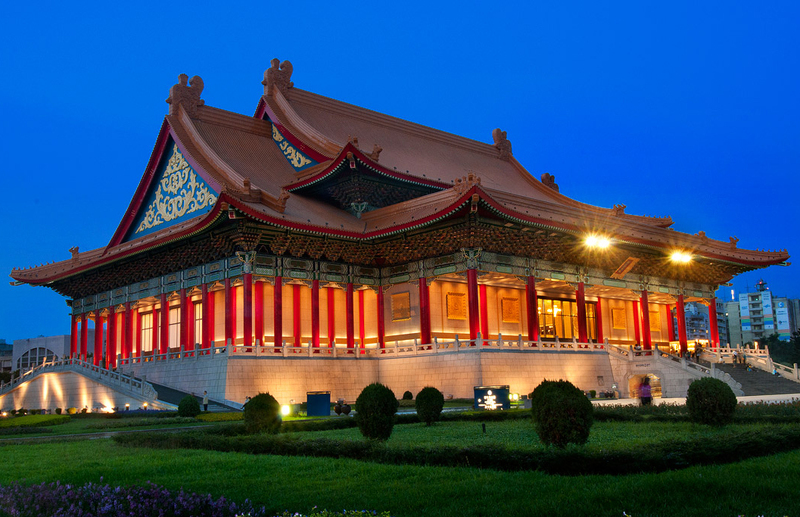 The two buildings are designed in a traditional Chinese palace style, with distinctive yellow tiled roofs and red pillars adding to their stately elegance. In addition to enjoying world-class musical, dance and theater performances, center visitors can also tour the cultural gallery and performing arts library. The center also offers regular guided tours for a more in-depth look at the world of performance arts in Taipei. 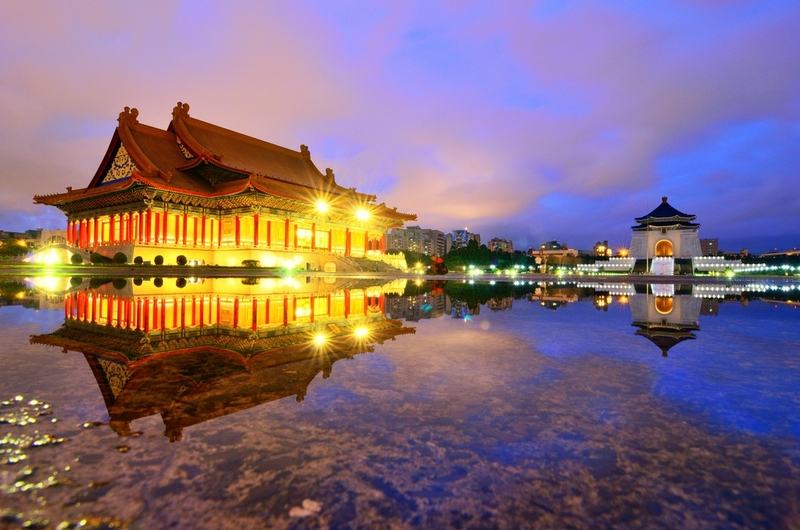 Take the train to Taipei Station, transfer MRT to Chiang Kai-shek Memorial Hall Station.